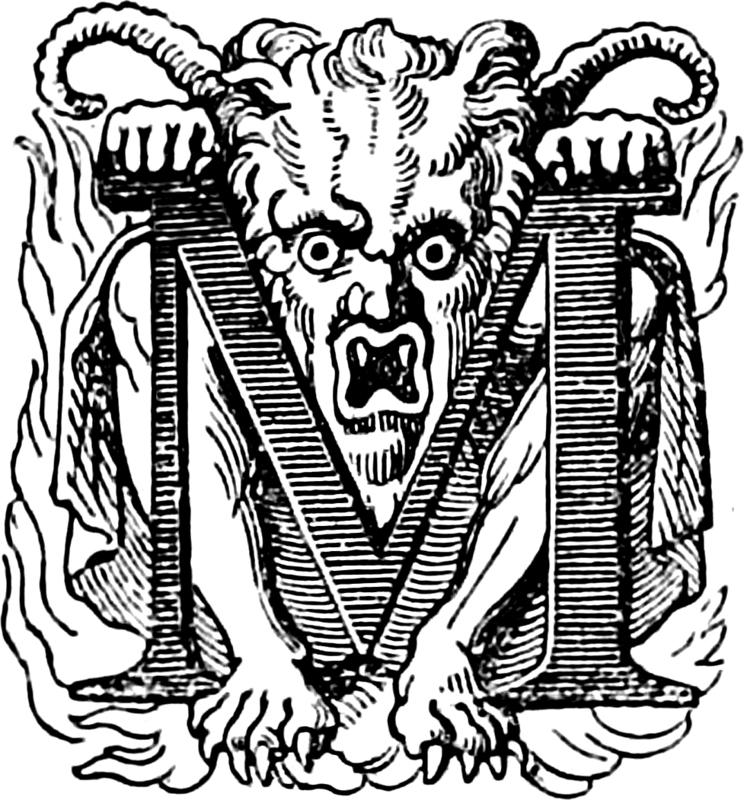 From La Normandie Romanesque et Merveilleuse by Amélie Bosquet, 1845. The M of meteorology is an entire weather forecast in itself. From The Story of Doctor Dolittle by Hugh Lofting, 1920. 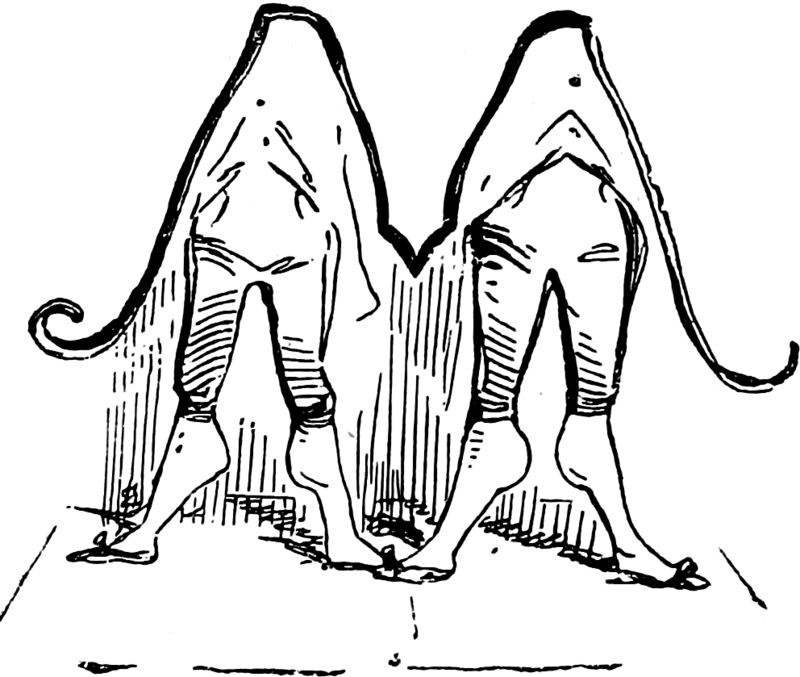 Capital M has four legs with extraordinarily well-developed calves, from The Oxford Thackeray. 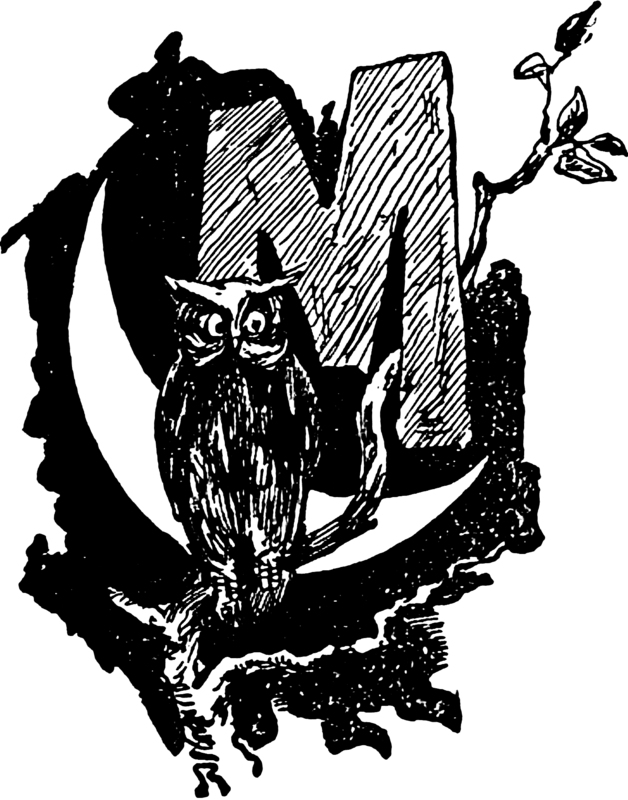 Here's an owlish capital M from Blasts from The Ram's Horn, 1902. 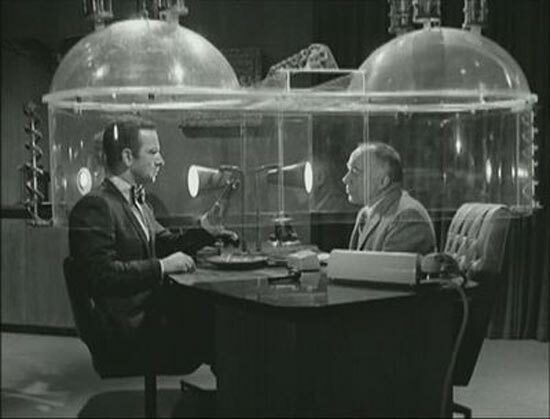 The "Cone of Silence," made famous in the Get Smart comedy series, first appeared over a century earlier, in Punch, 1857.